Yet again, journalism is undergoing radical change. James Harding, the BBC's director of news and current affairs, speaks of a fourth revolution in journalism. Each caused radical upheaval in their turn. The fourth revolution, which is taking place right now, is being caused by mobile technology. Harding, who is responsible for shaping the BBC's vision for news coverage, told staff: "In the age of the smartphone, we have entered the age of smart news, of handheld, news of what, for want of a better term, I will simply call interactive news – news that is portable and personalised; news that is fully internet-enabled and responsive; news that is available to everyone, everywhere, right now; news in which everyone has a hand on the microphone, i.e. not just broadcast, transmitted or distributed, but shared, exchanged, checked, investigated and explained as much by the audience as the author; news that can plug you in to what’s happening anywhere in the world, but equally root you into where you live and work; news that puts the world, with all this implies, in the palm of your hand." The Multimedia Journalism (MMJ) project is designed to equip student journalists - and, indeed, working journalists - with the skills they need to join this revolution. 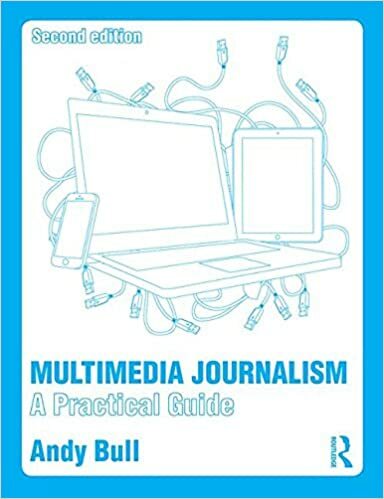 With its textbook in paper and ebook form, its companion website, its mobile and social media presences, MMJ teaches how to do journalism across all media and on all platforms. It will take you through from day one to graduation, covering all practical, journalistic aspects of your course. It will give you everything you need to know to develop as a fully rounded multimedia journalist. It will start by assuming absolutely no knowledge or experience, and accompany you through to full competence: the level of competence required to graduate from a practical undergraduate or postgraduate journalism course. It will take you through the practice of reporting - of storytelling - in text, audio, still and moving images, mobile platforms and on social media. MMJ takes as its starting point the way news, information and entertainment is consumed today. How do you consume your news? You may, just possibly, also buy a newspaper. What about your other information and entertainment needs? You might buy one or more glossy magazines that fall into the categories of general consumer or specialist consumer titles. That's particularly likely if you are into fashion, movies, gaming. Or you may read them on a tablet. Your interests and hobbies may also be served by a range of other apps, headline alerts of email newsletters. So if you follow a particular sports league or team, for example, you are likely to be signed up for news from them, and this news will often be produced not by independent journalists but by journalists employed by the club or league itself. A lot of what you read or watch will come to you - those in your social circle will share or like a video on YouTube, say, or a news story that has been shared by someone you know on Facebook, or linked to on Twitter. You might listen to a radio station, or download podcasts of news or other information to listen to on your smartphone, iPod or tablet while you are on the way to work, at the gym or on a run. So that's a pretty complex media landscape, and because we have so much choice about where we get our news, information and entertainment, everyone’s pattern of media consumption is likely to be unique to them. So if you want to be a journalist, how to you find a way to make a living in this complex landscape? The answer is to acquire all the skills it takes to produce that news and information, across a wide range of media. To become, in short, a multimedia journalist. Someone who can use all the modern tools that are available to us as gatherers and disseminators of news and information - to be equally at home writing for print or online, doing an audio or video report, taking still images, crunching data to reveal the stories hidden within it, and using a wide range of social media to find, research and publish stories. That's what the MMJ project sets out to help you do. And, because this is a revolution, MMJ can't stand still. So, while the textbook will remain a guide to the unchanging principles of good practice, in whatever medium you operate, the online versions will be constantly updated to take in new technologies - new software, hardware and ways of doing journalism.